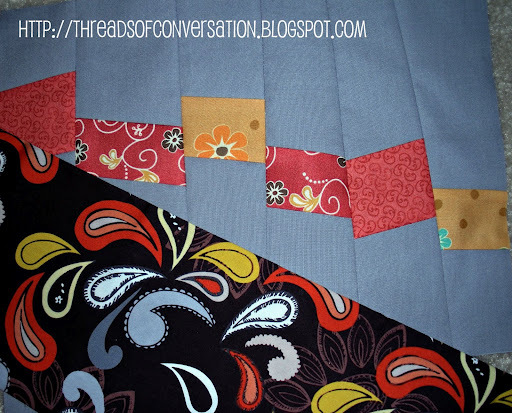 Made these three fun and fast blocks for Linda last night, for One Block Over. 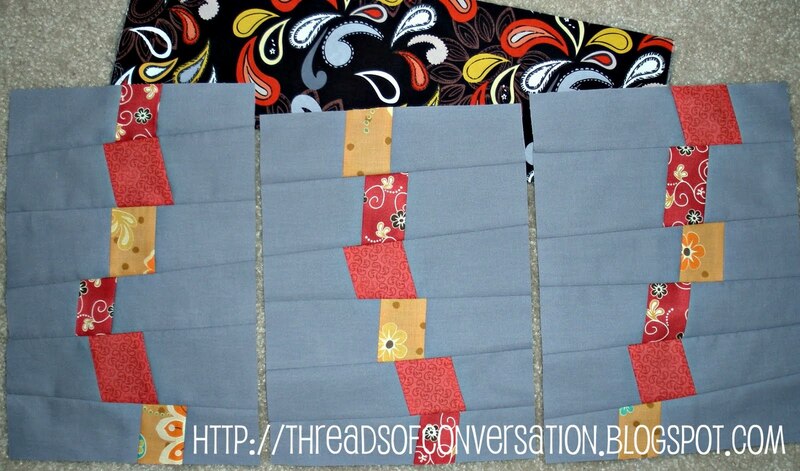 Her inspiration FQ is at the top, we were to pick three scraps from our stash to use with the grey solid. I think this took me about 45 minutes, including reading the directions. She has a great tutorial over here. More to come in the next month–promise! Our Steering Committee (Executive Board) for the Des Moines, Iowa, Modern Quilt Guild got together for dinner last night to go over our bylaws and finalize the draft that will be presented at our meeting next week. If you are in the central Iowa area, join us Thursday, September 15th, at 6:30 p.m.–More details on our website: www.dsmmqg.webs.com (or click on the link in my right sidebar!) I best get busy and finish up my Habitat Challenge quilt! Thanks for making such great-looking blocks for me. I can't wait to see my really neat quilt, either! 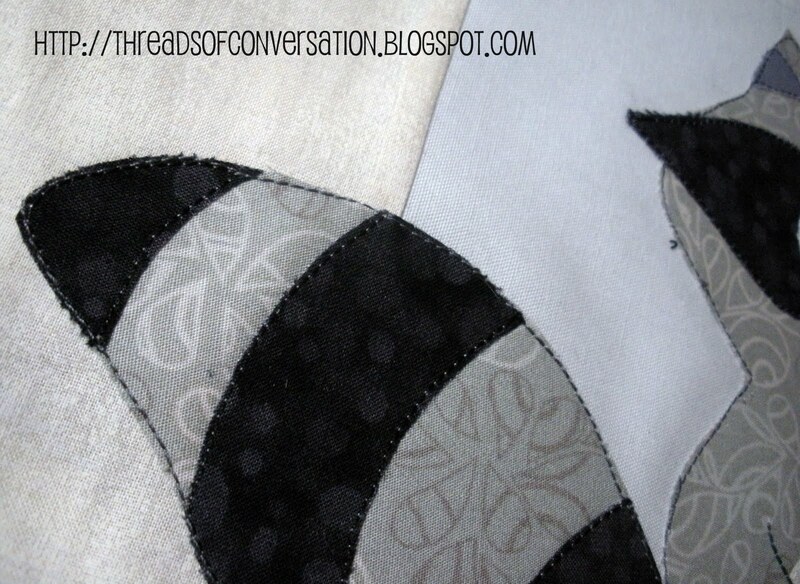 That gray fabric in your raw edge applique? I just bought some. 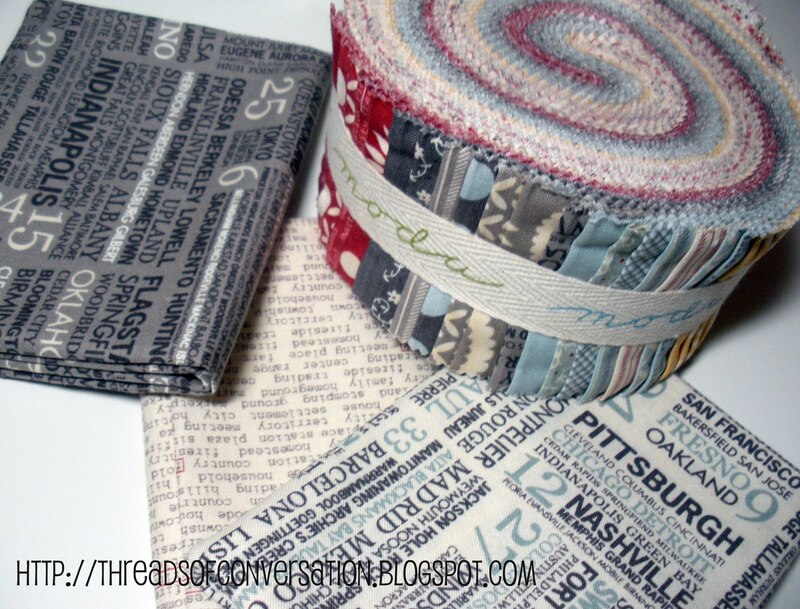 And the gray Hometown fabric? I just bought some of that too. I think I've officially arrived at “modern.” Love it! I can't wait to see your raw edge project. I'm toying with doing a raw edge project. 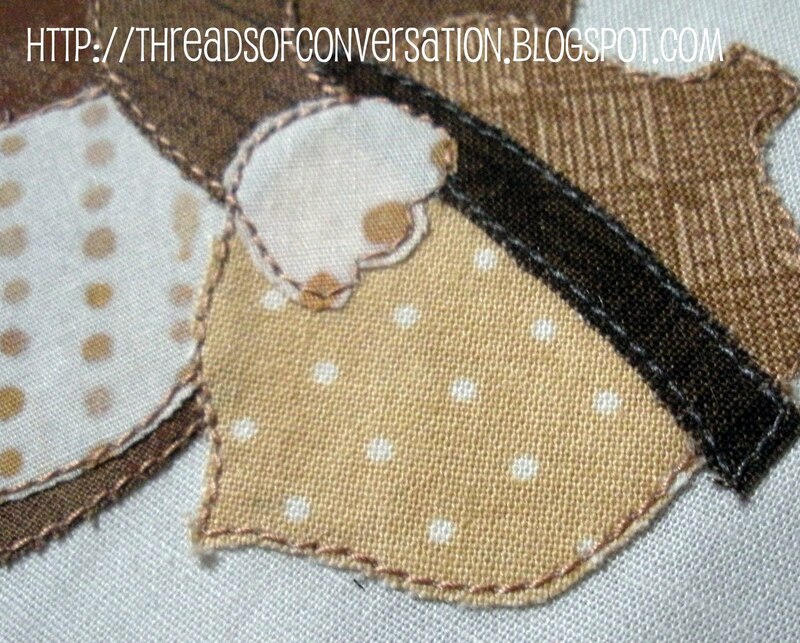 I'm playing along with that Ghastlies blog hop, too. Should be fun! I love what you did with those blocks. Very cool. And your little sneak peeks look totally fun! You are a busy girl! Thanks for leaving a comment on my blog. 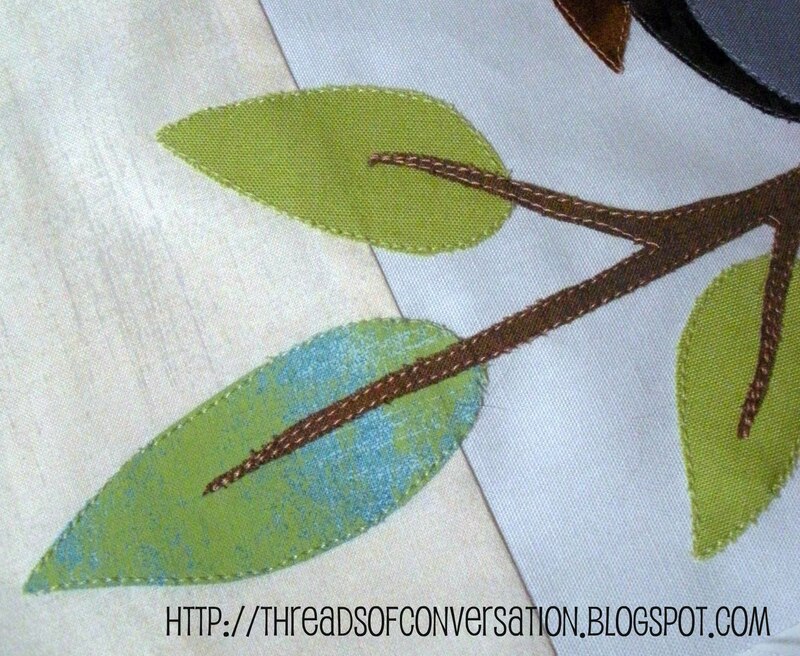 I just came over for a look and LOVE those sneak peeks at your raw edge applique project. I have a similar project mulling around in my head and can't wait to see what you are doing.